This past week, the House passed its “Right to Try” bill, which would give dying patients easier access to experimental drugs. The Senate has already passed a version of this ill-conceived legislation and Trump is an enthusiastic supporter, viewing it as a means of defanging the FDA and of demonstrating his great compassion for the American people. The bill itself, if it is signed into law, will not affect very many people and most of them are not likely to be elderly. But it is the first step in a campaign to destroy drug regulation. That is an issue for all of us, and for older people, as the greatest per capita consumers of prescription medications, in particular. It’s important to recognize three things: 1) the FDA plays an enormous role in patient safety. Tearing up the regulatory framework, as Trump and his ilk favor, would have devastating consequences for health and well-being; 2) the history of granting desperate patients access to experimental drugs is one of offering false hope and enormous suffering; 3) the track record of the experimental drugs that the current legislation would support is mediocre. The FDA approval process keeps us safe. When the FDA was first created in 1906, all it required was that drug labels accurately report the contents of medication. No longer was it permissible to sell “tonics” such as “Pinkham’s Vegetable Compound” or “Mrs. Winslow’s Soothing Syrup” without divulging on the label that the former contained alcohol and the latter morphine. The idea that FDA approval required that a drug be demonstrably safe and effective came much later. 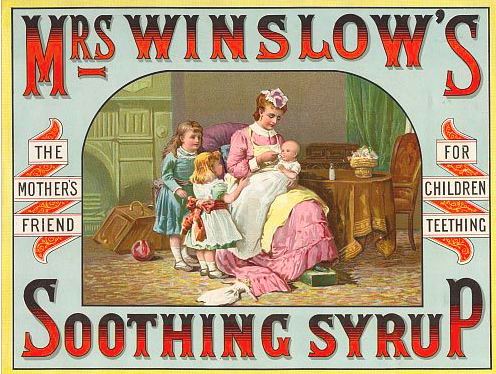 This amendments to the law were finally passed in 1938--after 5 years of debate--after the sulfa disaster of 1937: a liquid form of the new antibiotic, sulfa, had become widely available and was marketed for use in children. Because there were no safety tests performed, nobody seemed to have noticed that it was made with ethylene glycol (the active ingredient of antifreeze), a toxic chemical that causes liver failure and death—and that killed over 100 children. The requirement that drug companies actually perform randomized controlled trials to determine the safety and efficacy of proposed new drugs had to await the thalidomide disaster of the early 1960. Only after pregnant women treated with sleeping pills gave birth to babies with severe congenital malformations was were the Kefauver-Harris amendments to the FDA passed in 1962. The track record of experimental drugs is poor. While the proponents of the new legislation, conservative groups such as the Goldwater Institute (named after Barry Goldwater) focus on “free choice” as the rationale for making untested substances available to the public, the widespread assumption is that substances entering a “phase III” clinical trial are all but proven drugs—just a few more bureaucratic hurdles, and they will be FDA approved. 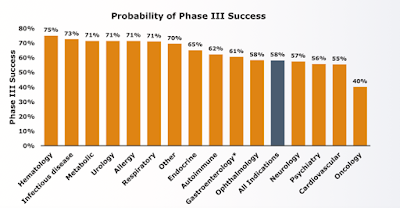 In fact, a phase III trial is designed to determine whether a drug that has shown some evidence of efficacy in a smaller, earlier trial (one that was focused primarily on looking for side effects) is actually effective. 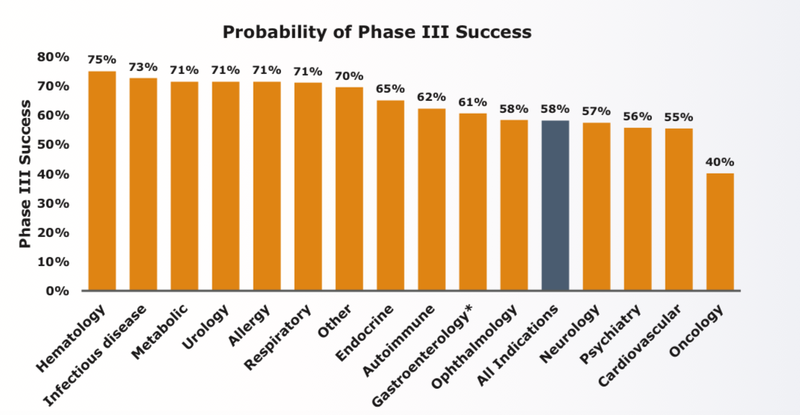 Many drugs that reach the Phase III stage do not move on in the approval process because they are not found to work. For cancer drugs, only 40% move ahead. 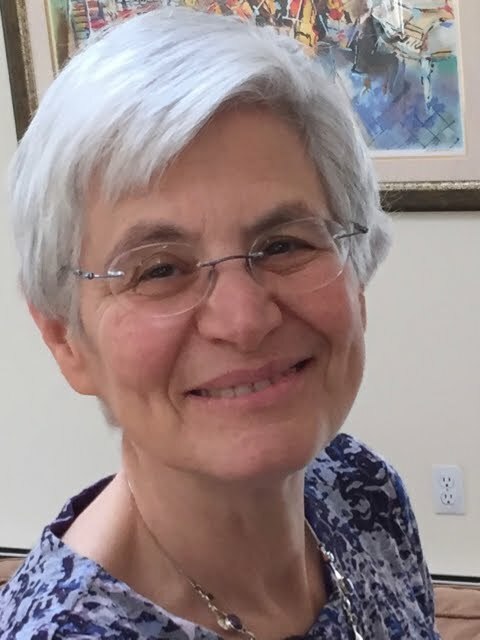 One of the most dramatic examples of the unfortunate consequences of premature access to an experimental therapy is the case of bone marrow transplant for advanced breast cancer. In the 1990s, more than 30,000 American women received bone marrow transplants at the cost of millions of dollars, extremely unpleasant side effects (including death—treatment-related mortality was reportedly as high as 15%). Insurance companies found themselves pressured to pay for the therapy—until several randomized controlled trials definitively demonstrated that it was no better than conventional chemotherapy. The sad reality is that dying patients are vulnerable to claims that a cure is lurking around the corner. More often than not, what they are being offered is an opportunity to spend their dwindling resources on a bottle of false hope, often suffering enormously in the process. This is what the “right to try” legislation offers. The House and Senate versions must be reconciled for “right to try” to become law. Tell your senator to halt the assault on the FDA and keep drugs safe and effective.